If there’s anyone here that knows everything there is to know about Macomb County’s water resources and blue economy, it’s Amanda Minaudo, senior planner for our Planning and Economic Development Department. Her job takes her from cleaning the beaches of Lake St. Clair to kayaking down the Clinton River all in an effort to showcase some of Macomb County’s most important assets. Since June 2011 Minaudo, who started out as an intern in the department, has worked for Planning’s Land and Water Resources component. Her job, which, in October 2012 switched to associate planner for the department, has entailed everything from implementing projects that increase public access to water, ecosystem development and event planning. She serves as a member of the Nautical Mile Merchants Association.  One of the major events Minaudo has successfully overseen is Sprint and Splash (click here to view the flyer), an event designed to promote Macomb County’s blue economy. The event features a 6-mile World Paddleboard Association sanctioned stand-up paddleboard race, a duathlon, which combines a 5K run and a 2-mile paddle (kayak or stand-up paddleboard), a 5K Fun Run and Walk (for those who want to stay dry) and a 2-mile recreational stand-up paddleboard race. There will be a food and beer tent, a live dj and a beach village, which will highlight some of the great businesses in the county. Most importantly, the event raises money for the Lake St. Clair Tourism Initiative, Clinton River Watershed Council and Six Rivers Regional Land Conservancy, all groups that have a variation on the message of protecting and promoting Macomb County’s blue economy. Planning and Economic Development Department Director Steve Cassin said he is impressed with Minaudo’s work. "Amanda has proven herself to be a real asset to this department," he said. "Her efforts to develop, launch and sustain this event brings more new visitors to our county each year." Minaudo has now been tapped to work as a senior planner in the department and her job duties have been shifted to other important duties of the department such as help create master plans, conduct site plan reviews and set development goals for local communities that seek out the assistance of the Planning department. “Having an updated master plan helps communities to get grants, keep a current list of potential projects and creates a vision for them,” explained Minaudo. Minaudo, 26, is a University of Michigan graduate with a double major in political science and program in the environment both with a concentration in urban planning. A lifelong Macomb County resident Minaudo grew up in Sterling Heights and currently lives in St. Clair Shores with her husband Tom and dog Miggy (named after Tigers first baseman Miguel Cabrera. ), where they maintain an active lifestyle, frequenting the gym, running local 5K’s, kayaking, paddleboarding, golfing and going to Detroit sporting events. She said she enjoys living in Macomb County. “It’s where my family lives and it’s close to the lake and not far from shopping centers. St. Clair Shores has a small town feel that allows us to ride our bikes or walk to many places,” she said.